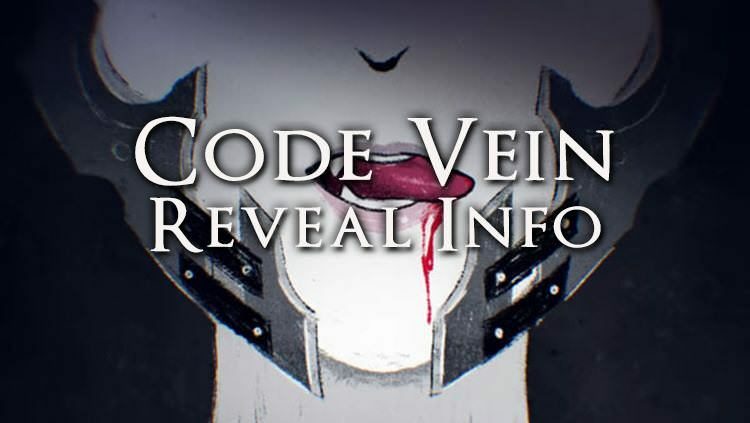 In the latest issue of Famitsu, via Gematsu, the new Bandai Namco project “Code Vein” has been revealed, which was teased in last week’s Prepare to Dine trailer. 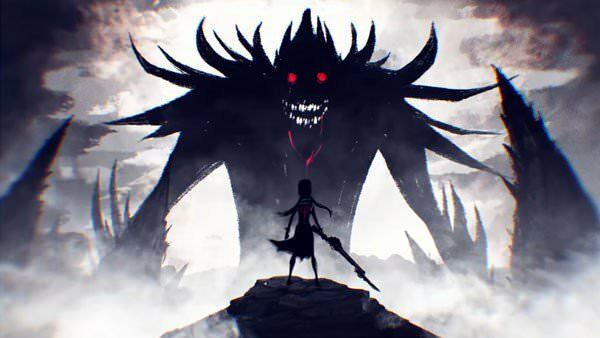 It is a dungeon exploration RPG from the team behind God Eater and will release in 2018 for as of yet unannounced platforms, presumably consoles. Players will take on the role of Revenants, which are vampires with supernatural powers. Living in an isolated community called Vein, they have evolved beyond humanity but have lost their memories, and their desire to feed on blood staves off a starvation condition that turns them into monsters called Lost. Defeating these allows you to consume their blood via a piece of armor like equipment, and this collected blood can be channeled into a variety of actions like a special attack, self buff or enemy debuffs. Players can explore the seamless connected world with an ally who acts on their own, and use a variety of melee weapons like swords, spears and hammers to explore the dungeons and uncover the hidden truth of the world. An official worldwide reveal is coming Thursday, with more info and possibly screenshots. Some of these terms and names may change due to english localization for the worldwide reveal so we will update everything accordingly. Beyond, a gameplay trailer will be releasing this May. Check back with us for all of the info that releases. reminds me of a vampire movie I saw where vampires are the dominant race, and humans are literally cattle, put in blood harvesting machines. If the vampires don’t get blood, they turn into bat monsters that look like Dracula from that one Van Helsing movies. Aha! So it wasn’t a Fromsoft game, and Namco was just using the tagline to ride hype. Still, seems worth keeping an eye on for now. There is something inherently redundant about this sentence. I recall hearing that it was Bandai who made up that slogan to begin with to feed off of Souls game’s infamous (and often exaggerated) difficulty. Wasn’t even From’s idea. It’s being made by the God Eater team? Sweeeeeeeeeeeeeeeeeeeeeeeeeeeet. Loved God Eater, and this new game is already sounding good. Correct, yes. By From’s statements, Demon’s Souls was never about the difficulty, the difficulty was just one of several tools to deliver the experience they wanted. Yeah it seems kind of silly, but the one thing I do like is that they are supernatural instead of like a virus or something dumb like that. It always annoyed me when vampires and zombies were explained by pseudo scientific technobabble. I like zombies to corpse slaves made by magic, and vampires to be demons possessing corpses like in old folklore tales. I guess vampires could be other magic related things it isn’t quite that cut and dry, but ya get my point. I do, yes, and it’s a good point. I forgot that virus vampires are a thing sometimes. This does narrow down a few things about the possible plot, as well. I try really hard to pretend they aren’t. It’s one of my issues with The Elder Scrolls vampires, especially since they introduced an awesome origin with Molag Bal which is the closest thing to a demonic curse and all that cool stuff, but then we’re like, "nah." Like you have a fantasy setting… Why add viruses? It’s kind of like when I’m listening to the Witcher books and they talk about cells or cancer and I am like… But wait… Wouldn’t you not know about cells at this stage of technological development? Assuming it’s like real life? Assuming viruses, cancer and/or cells even exist in a fantasy setting. I actually just started playing the Wtcher games, and I noticed that too. Geralt and Triss know a LOT about medicine and biology, while everyone else seems to know very little. For example, Geralt was able to explain that a guy had a concussion after being told the symptoms. I think it’s just mages and people associated with mages that know this stuff. And they know because they have magic in place of advanced technology. Witchers aren’t necessarily associated with enchantresses really. Geralt just knows Yennifer because they had been a pretty toxic on again off again couple and Triss was Yen’s friend who had the hots for Geralt. It makes sense for witchers to know about medicine and biology a little, but really neither have microscopes are anything of the sort. And my main thing is to me it would make sense if something like miasma theory were true in fantasy settings as opposed to germ theory. With all the rest of superstitious ideas being true, why wouldn’t stuff like that be the reason diseases are spread? I think they do actually. There’s a lot of medical and scientific apparatuses in laboratories and the witcher stronghold. I wouldn’t put it past them to have a primitive microscope of some sort. I mean, one guy had human test tubes that you would see in an old sci-fi movie, so a microscope wouldn’t be out of the question. In the books they sure as hell don’t. Nothing of the sort is ever mentioned and a lot of microscopes require an electric light from the bottom so you can see anything and they do not have electricity. A candle wouldn’t suffice. I hadn’t really looked around in the games however, I play most of the second, quit right at the dragon boss and bought the first one to start over, but then I got the books on audible and am slowly working away at them before going through and completing the trilogy. In the witcher, there are creatures called plague maidens, women who died from horrible diseases, and so are brought back as disease ridden specters. How could a ghost spread disease in a normal sense? I think this is the case with Skyrim as well and other games. It’s not about germs or viruses as modern medicine sees them, rather just some source of disease, realistic or otherwise. In Skyrim for instance, I think the vampire "disease" is a supernatural mutation, with some part of the vampire’s constitution (like their blood) infecting the victim, and causing their body to change. Before the infection takes hold it can be cured like a normal disease by means of a healing potion (itself a fantasy cure), but after the transformation is complete, you need a special rite to turn back to normal, involving some necromancy and unique ingredients. Hmm, well, it was in the video game. From what I’ve read in the books though, the concept of some sort of microscope isn’t unrealistic (in their world). They don’t need electricity when have…wait for it…. maaaaagiiiiiic. Seriously though. There’s magic light gems and everything, and given how magic and science intertwine with one another, I’d bet mages would find a means of light. also, I’m not talking about microscopes that can see single cells specifically, just microscopes in a general sense. The most primitive microscopes used a pinhole viewer and the sun, rather than a light source such as a light bulb. Those were also hand made, and you could still make out the basic shapes of cells. It still took another 150+ years or so IIRC to prove conclusively bacteria and viruses are what spreads disease.